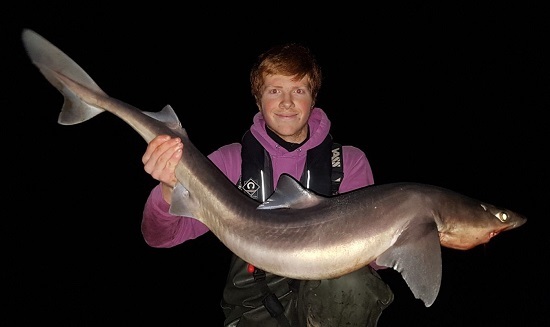 Cameron Atkinson – Spurdog (Squalus acanthias) – Shore-caught – Watermouth, North Devon, on 24th January 2018. Cameron’s fish weighed 18lb, overtaking Gary Hillon’s 2017 shore-caught record of 17lb 8oz 8dr. 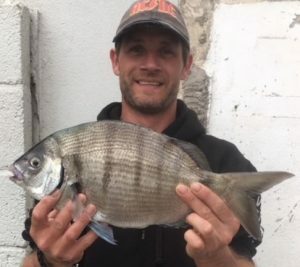 Jason Touzel – White Sea Bream (Diplodus sargus) – Shore-caught – West coast of Jersey, on 11th May 2018. 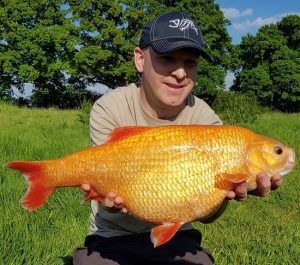 Jason’s fish weighed 3lb 3oz 2dr and was witnessed by Roger Bryant, who held the previous record of 2lb 12oz 8dr. Lawrence King – Golden Orfe (Leuciscus idus (L) – Caught at Newdigate Farms Fishery, Surrey, on 20th May 2018. Lawrence’s capture, at 8lb 5oz, equals the current record set in 2000 by Michael Wilkinson from Lymm Vale, Cheshire. Trevor chalks up final place!